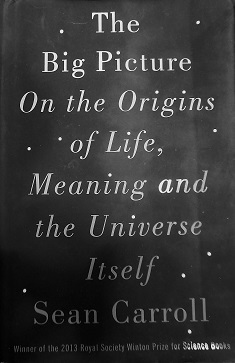 Part 10 of my review of the book: “The Big Picture: On the Origins of Life, Meaning and the Universe Itself,” by Sean M. Carroll. Part 9 is found here. The fifth of the six section divisions of the book is titled “Thinking,” which includes chapters on the origin of consciousness. This section is very vague, perhaps because there is a major lack of any real experimental evidence in support of what gives rise to consciousness and therefore any evolutionary speculations on how it arose in a Darwinian world are very tenuous. Only the second part of the second sentence has any factual basis in being a true statement. The rest here, though stated as a fact, is completely assumed—made up—just pulled out of the air. There is no evidence—fossil or otherwise—of a fish that climbed onto land and decided to stay there. On the same page he shows a reconstruction of a Tiktaalik roseae fish half in and half out of the water. See Fig. 1. 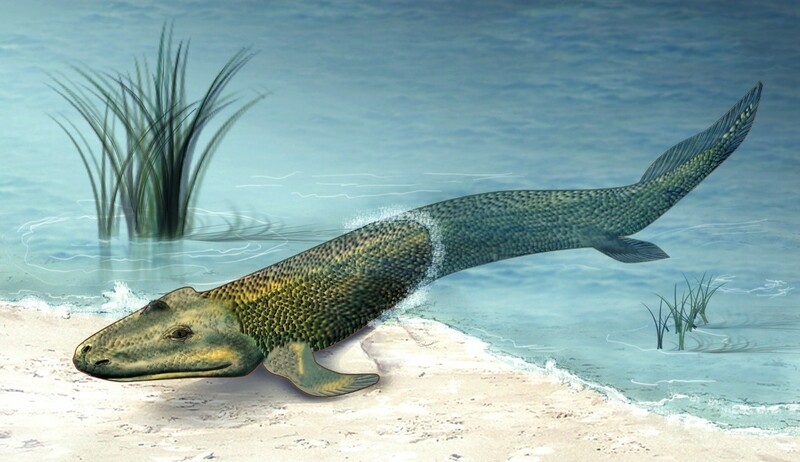 The animal was more likely a fish with some mosaic like features in the same way that Archaeopteryx, a bird, had teeth and claws on its wings, resulting in claims that it was also a transitional form.1 But note Tiktaalik roseae, could not walk.2 Tiktaalik’s fin was not connected to its main skeleton, so it could not have supported its weight on land. Thus the story of it coming out of the water and walking on land is pure fiction. Then Carroll continues with his storytelling about how a fish evolved while climbing onto land. He uses expressions like “We don’t know, but we can make some reasonable guesses.” (p.318) He then argues that the evolutionary pressure on the fish as it swims under water and its need to think quickly caused its brain to evolve to think more quickly. “A fish brain is going to be optimized to do just that.” (p.318) But this is just another statement of faith—faith in an unobserved process, based on a belief that evolution happened over billions of years.